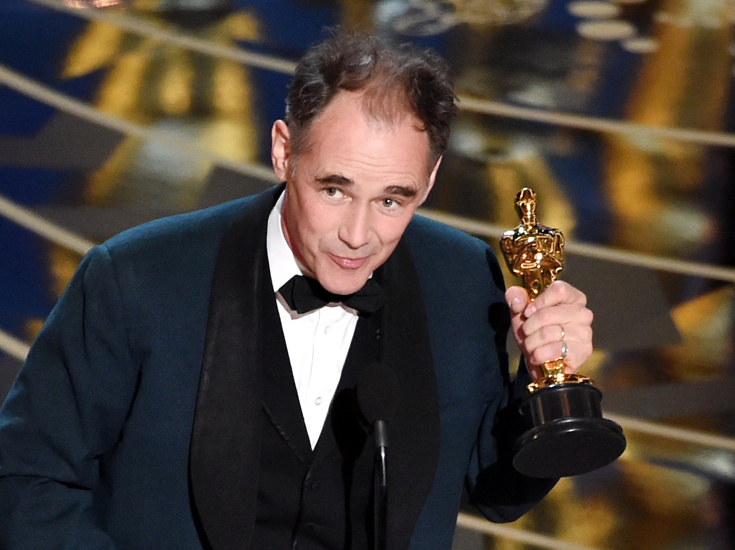 Three-time Tony Award winner Mark Rylance won the Oscar on February 28 for Actor in a Supporting Role. His performance as Rudolf Abel in Bridge of Spies marks his first nomination. And while we didn’t get a signature Rylance prose poem acceptance speech (see below), we’re sure Broadway fans tuning in cheered for the stage favorite during what turned out to be one of the biggest upsets of the night. Rylance won Tony Awards for his performances in Twelfth Night, Jersualem and Boeing-Boeing. He has also appeared on Broadway in Richard III (in repertory with Twelfth Night) and Le Bête. He can currently be seen on the New York stage in Nice Fish, which he co-created with Louis Jenkins, at St. Ann’s Warehouse. Rylance was also nominated for a Golden Globe for Bridge of Spies, as well as for Wolf Hall. His additional screen credits include Bing, The Other Boleyn Girl and the upcoming The BFG. Another Broadway alum took home a golden statue from the 88th annual Academy Awards: Tom McCarthy, director and co-writer of Spotlight (featuring Something Rotten! 's Brian d'Arcy James), shared a win for Best Original Screenplay with Josh Singer. The film earned the top prize of Big Picture.